Aussie Swooping Magpies Have Made The NY Times! It’s that time of year when you need to venture out on the street with caution! In-the-know Mums pull the covers over their prams, runners run extra fast and cyclists don obscure-looking helmets. With the start of spring comes an escalation in magpie swooping incidents and nasty beak injuries. 3,442! 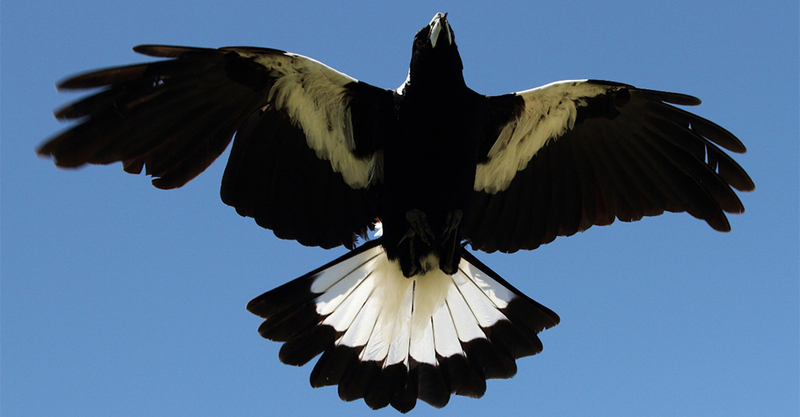 That’s the number of magpie attacks across the country already reported by victims on Magpie Alert’s incident-tracking site. Of these, 462 incidents resulted in an injury. And we’re only mid-way through September! As native Aussies are already aware, this small, innocent-looking black and white bird can turn mighty aggressive when they feel their chicks are under threat, dive bombing and pecking unsuspecting humans who get too close to the nests. And when we say too close – you might not even realise there’s a nest in the tree you’re walking past. It seems this Aussie phenomenon has gained somewhat global attention, with the New York Times recently enlightening their readers on our efforts to combat this annual occurrence. As if we didn’t already have enough dangerous wildlife to put tourists off from visiting our beautiful country! How To Protect You & Your Kids! Those sharp beaks can do some serious damage to soft tissues and even eyes so how should you go about protecting yourself and your family from a magpie injury? 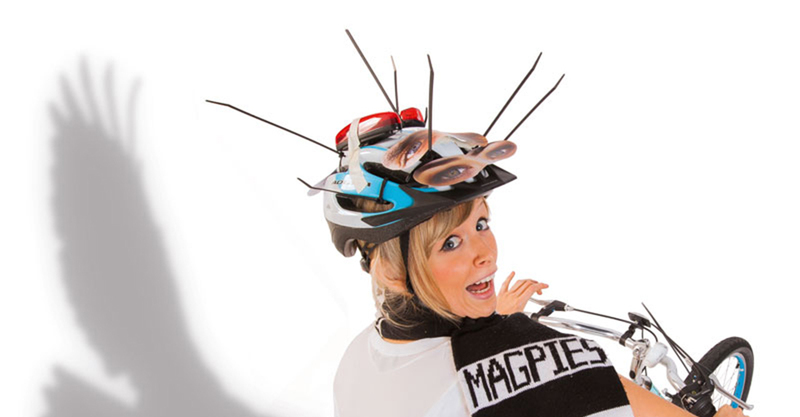 Avoid Known Attack Areas – the Magpie Alert website provides a platform for victims to record where they were attacked. Users can see a visual map of incidents and avoid these areas during breeding season. Also let your local council know – they will take action to avoid future injuries. Get Protection! There are simple measures including wearing a hat and sunglasses or taking shelter under an umbrella. Then there are the more elaborate and eccentric ways including making a DIY helmet out of an ice-cream container or pasting cut-out eyes to your hat or helmet. Many cyclists swear by attaching cable ties to their helmets to stop attacks. Strength In Numbers – magpies are more likely to attack from behind. Walk in a close group and get everyone looking out in every direction. Toss a coin to see who gets to walk in the back rank! Stay Calm – flailing your arms about and screaming if a magpie swoops is likely to make it even more aggressive. If you have no protection to hand, put your folded arms above your head to protect your head and eye area. Twice As Likely – magpies have good memories and tend to attack the same people over subsequent seasons. If you’ve been a victim once, it’s best to find an alternative route and avoid the area you were attacked in . Note: remember that magpies are protected in NSW and it is illegal to kill them, collect their eggs or harm their young.